A massage is generally considered a form of therapy. All massages, when done correctly, deliver various health benefits. A recent innovation in the therapeutic spa world, hot stone massage employs warmed, smooth-surfaced stones, typically sourced from river rocks and basalt formations. Why basalt? Because it contains high iron concentrations that better retain the heat throughout your massage session. Stirring your curiosity? Leesburg spa talks about all the health benefits such a massage can deliver while treating your mind and body to total relaxation. Knowledge of heat’s therapeutic value stretches back to ancient times. Today’s masseuse therefore draws from a deep reservoir of methods to provide a deep-tissue massage that promotes optimal muscle relaxation and pain relief. Once these two objectives are achieved, you sense a previously absent ease to all of your motions and physical activity. 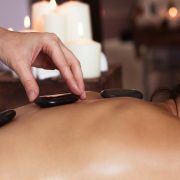 Sometimes, depending on your symptoms, a masseuse will alternate hot and cold stones during the massage. A study published in 2006 that addressed insomnia in adults and the elderly revealed that a massage, especially a back massage, can help peoplefall asleep faster. Better yet, people who receive a massage before sleep tend to wake up more alert, active, and positive, according to the study. It is said that massage can promote restorative sleep, though the mechanism is not yet understood. Besides relaxing your muscles, a hot stone massage also relaxes your mind. The American Massage Therapy Association recognizes this health benefit as supported by studies and research. One study states that a 15-minute massage in the workplace can reduce significantly more stress than a conventional 15-minute work break. 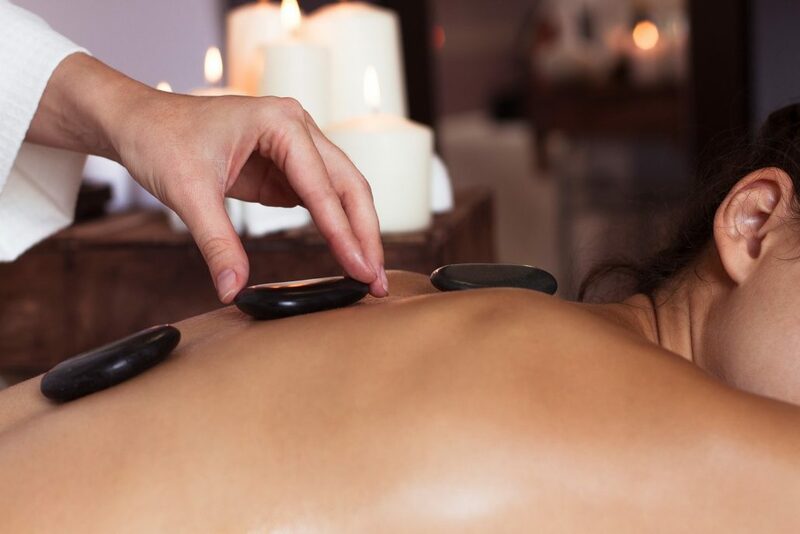 During a hot stone massage, the masseuse will place the hot stones on trigger points of your body. These locations allow heat to travel deeper into your body than other locations, resulting in better circulation. In turn, an improved circulation will stimulate the secretion of various hormones critical to balancing your body—as is the case with arginine vasopressin, a hormone that helps regulate blood pressure. Craving for a hot stone massage? Perhaps it is a signal from your body that it needs to relax and visit spas in Leesburg, VA. Make time to reward your body and mind so that they can attain their most productive states.